Studies suggest parents are often afraid to give their children epinephrine to stop a potentially life-threatening allergic reaction. A new study suggests what researchers call “a worrisome increase” in the rate of life-threatening allergic reactions. Research shows the percentage of visits to a Montreal hospital emergency room due to anaphylaxis almost doubled over a four-year period. Anaphylaxis is an allergic reaction that can occur in seconds after exposure to an allergen that could be food, medications, insect venom or latex. It can cause hives, swelling, vomiting, as well as a drop in blood pressure and blood vessels. 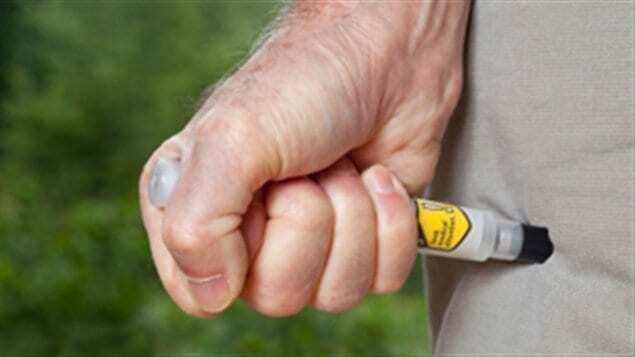 If it is not quickly treated with life-saving epinephrine it can be fatal. It’s estimated almost 600,000 Canadians will experience this kind of severe allergic reaction in their lifetime and that more than half are not equipped with the life-saving injector. 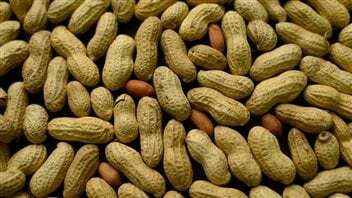 Food caused 80 per cent of the cases in this study, principally peanuts and tree nuts. Children who arrived at emergency without having had a shot of epinephrine needed several of them after their arrival in ER. “We had previous studies suggest that most parents are either afraid or unsure on the way to give epinephrine given that it’s an injection and they are afraid to hurt their child,” says Dr. Moshe Ben-Shoshan, a pediatric allergist and immunologist at the Montreal Children’s Hospital (MUHC). “But we need to remember that the side-effects of epinephrine are minimal and the benefit is huge when you give it promptly.” Parents and care-givers need to be educated on this, he says. Why anaphylaxis is increasing is not clear. It may be that we were too protective of children introducing potentially-allergenic foods too late in children’s lives, or that better hygiene played a role by not exposing children to enough infection. Lesser theories include a lack of vitamin D or omega 3 fatty acids. Ben-Shoshan says more research is needed to find out so that the increase in dangerous food allergies can be curbed. “Reason for increase not clear”. The reason for the increase is absolutely clear. It is due to injections, including the use of vitamin K injection at birth, and then adjuvanted vaccines introduced to infants in Canada in 1992.